View of the former Terrace Plaza Hotel from Center at 600 Vine on the morning of November 14th, 2017. I've been working with management of the former Terrace Plaza Hotel on a historical documentation project for over a month now. As a years-long fan of the building, it has been on my list of places to photograph because of its importance to the history of our city. Many on the street dismiss it as "ugly," but they're missing what's truly amazing about it: that 5-story brick facade isn't the whole building. An entire world of entertainment, hospitality and fine dining was once perched atop the big box. A world that is now all but gone save for the physical remnants hinting at its past. But also a world that was photographically documented long before many of us were around to witness it in its prime. Ezra Stoller was a renowned photographer associated with catalyzing interest in modern and contemporary architecture. Esto, a firm dedicated to archiving architecture of the same style, was founded by Stoller and featured much of his own work. Stoller’s decades of careful, brilliant photography ranged from iconic buildings across the US to scenes of American industry. It should go without saying that he is among my influences; I've been trying more and more to shoot like him. During the late-40s, Terrace Plaza Hotel was finished and Stoller was there to document Cincinnati’s new Modernist marvel. 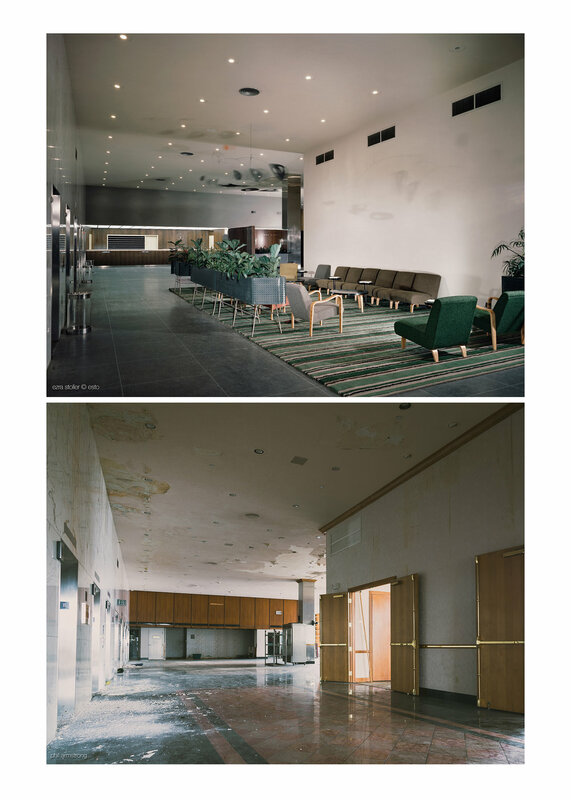 One half of the photos below were taken right after the hotel opened, giving us a sense of what it was like to visit a Mid-Century Modern masterpiece in the heart of post-war Downtown Cincinnati. 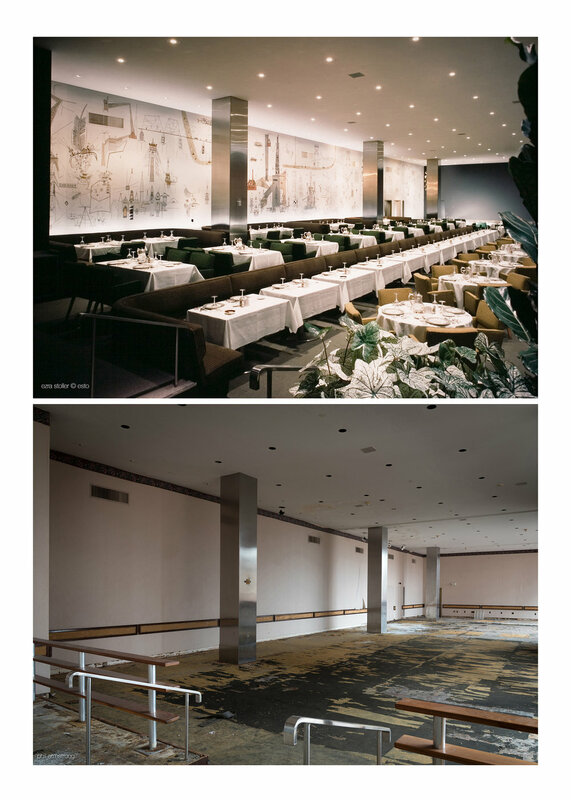 Esto’s archival of these photos thankfully preserved the vision of Terrace Plaza Hotel’s heyday. Changes to the building have been made since it first opened, and many of SOM's original designs were altered throughout the years. To illustrate the contrast of the hotel’s origins with its current state, I have attempted to step into the shoes of Stoller to recreate his photos nearly 70 years after the hotel first opened. Attention to color palettes was used in the editing of the images. Lighting is often different from the originals, but the perspective is roughly the same. It's an ongoing process. Esto owns the rights to Stoller's images. These are purely for non-commercial documentation purposes.